The New England Region of the Irish Dance Teachers Association of North America was treated to a two-day Irish dancing competition (feis) in Torrington, Connecticut over the weekend. 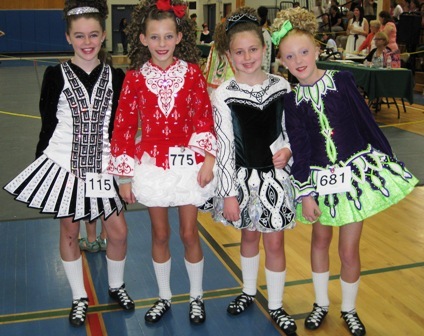 Dancers from New England and the mid-Atlantic region made for tough competition as Irish dancers from the grades and champion levels vied for coveted placements. With the regional Irish dancing championships just five weeks away for New England Region dancers, champions looked to adjudicators for constructive criticism to shape their final weeks of training. 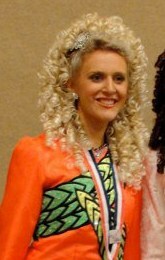 North American Irish Dancing Champions and World qualifiers from Connecticut, Massachusetts, New York and New Jersey put their best feet forward on two stages Sunday, while beginners through prizewinners danced on stages set up in the gymnasium at the Lewis S. Mills High School in Torrington, Connecticut. Congratulations to all those who placed, especially Bremer School dancers Julianna Bremer for Girls under 11 and Siobhann O'Neil for Girls under 15; Gilleoghan's Hali Thorne for Girls under 17 and Matt Mulvey for Men 16 & Over, and Griffith Academy's Colin Dyson for Boys under 12, all who achieved perfect scores of 300! Tabulation was by the experts at FeisWeb. Here are Top Five results for a few competitions, please visit FeisWeb here for full results for Preliminary and Open Championships. 1 Siobhan ONeill (Bremer) with a perfect score of 300! For all the North American Irish dancing news delivered to your mailbox with Feis America magazine, subscribe here!